I suggest you watch the video to judge yourself whether if I'm over saying this that my girl is truly making a great progress in just at her 3rd day of ski lesson. She did impressively ski down at the longer slope this time. I didn't expect her to be that quick to learn at all. But, how wrong was I to think less of her skiing skills, huh? Yes, that is her in pink ski suit along with her instructor in yellow outfit. I took the video far top from the cafe where I usually kill time while waiting for their lesson to finish along with my little one, either having a cup of tea or coffee. It's a good place to be and the view are amazing that I wouldn't mind waiting. It is only 20-30 minutes walk from our place but only it is so steep that it can take longer when pushchair is tag along uphill. Oh yes, you walking downhill is mush easier only that you have to really hold on tight to the baggy or pushchair or else...it could be dangerous. Anyway, it is worth every penny spent for their lesson as I see improvements each day of their lessons. Now, I don't mind even if I had to walk uphill and forth anymore because seeing my kids learning and engaging into new activities makes me so happy. This is her before starting the lesson. She didn't like the fact that I'm taking her picture in front of her classmates. She find it embarrassing, haha. All SOOC btw, no time to edit pictures these days and taken from my digital compact. 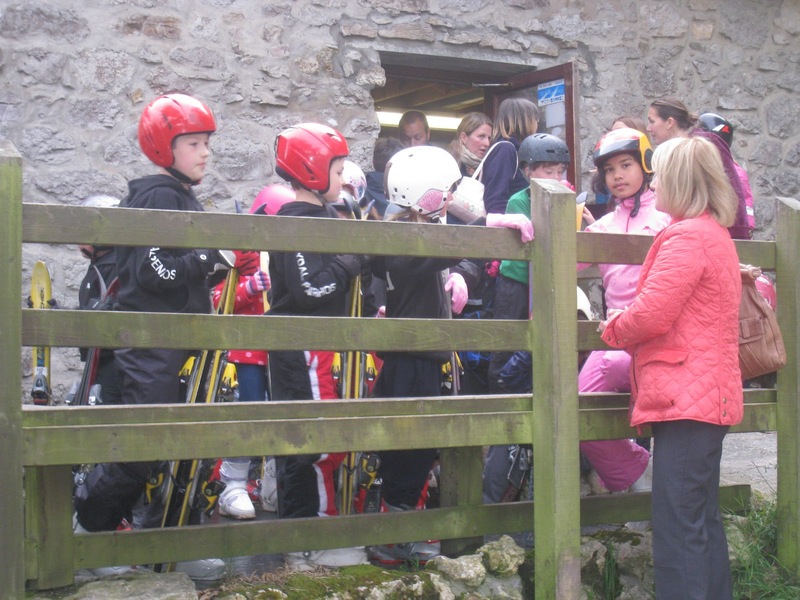 And her comes the ski squad, they always win competition, apparently the best in the town, if not the whole North Wales region. Good, ain't it? Oh, I'm dreaming my kids to be in the squad sometime soon. Haha, am I too ambitious? Well, they could only aim but higher, right? Whatever makes them happy, I'll be just as proud. 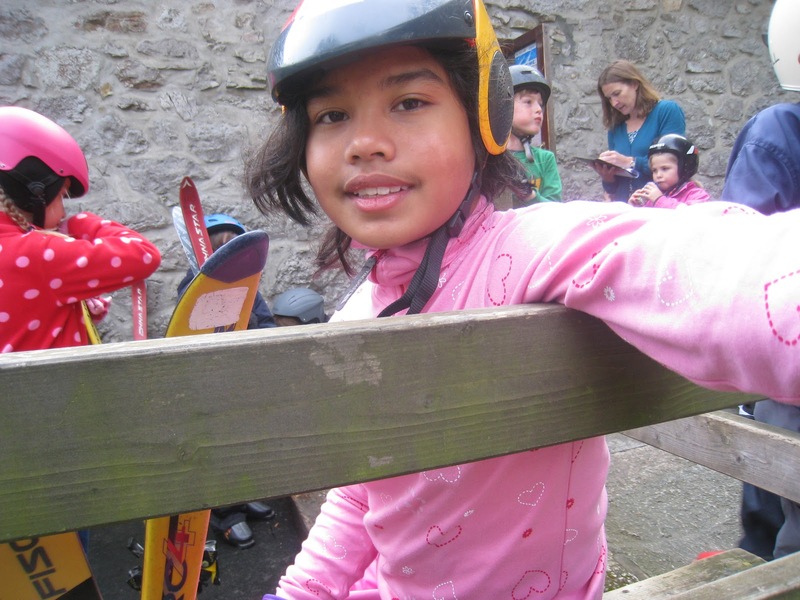 That's cool, at early age she can manage to ski! Way to go! It looks like she is doing good in her ski lesson. We do not have here like that so warm place heehe..
Oh how wonderful! Keep it up young lady! You never know you could be in the Olympics someday. Yes? She's pretty like mama. :) You go girl! I wish I know how to ski. That's very impressive of her. Must take loads of balancing skills to get where she is now in her skiing lessons. 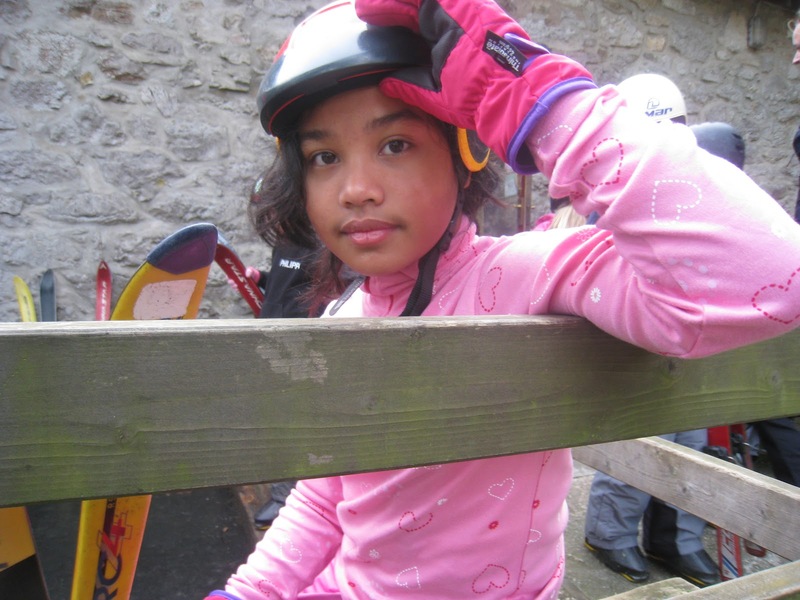 Your kid is so amazing,she is good in her ski lesson.Good luck to her..Good job. My kids love snowboarding and sledding but we haven't let them try skiing yet...probably this year. Congrats to your girl, she's definitely going to have fun this winter! Very brave young girl. I would chicken out for this type of sports :-) Hope she can be in that squad!